Spending time on the rooftop of your house or apartment, especially during the pleasant weathers with friends and family is truly relaxing. 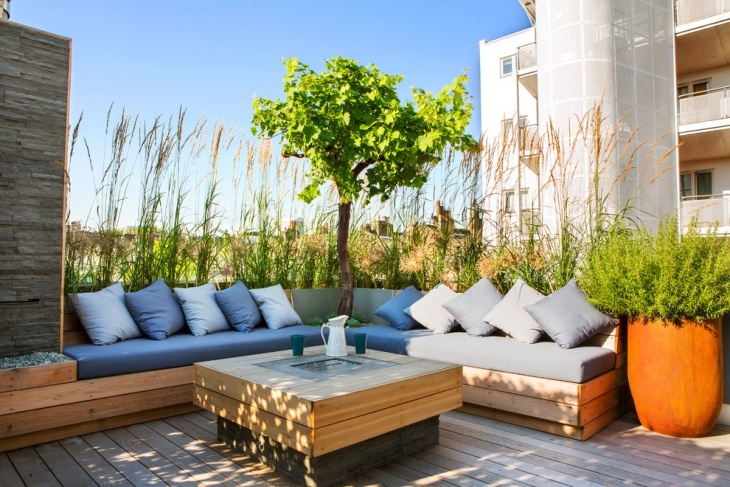 Today, roof top terraces have come in several designs and designers are making sure that they design the rooftop terraces in every convenient way possible. Rooftop terraces with fresh greens, beautiful flowers and some other essentials can go a long way in keeping you feeling fresh and relaxed. 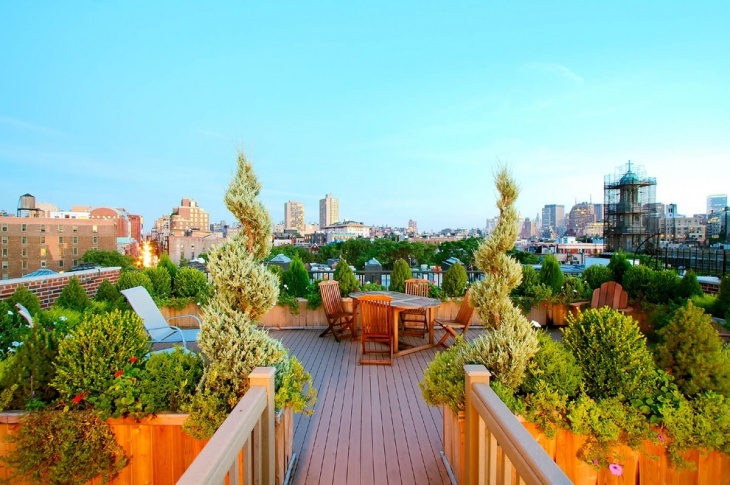 Below is a list of breathtaking rooftop terrace designs! 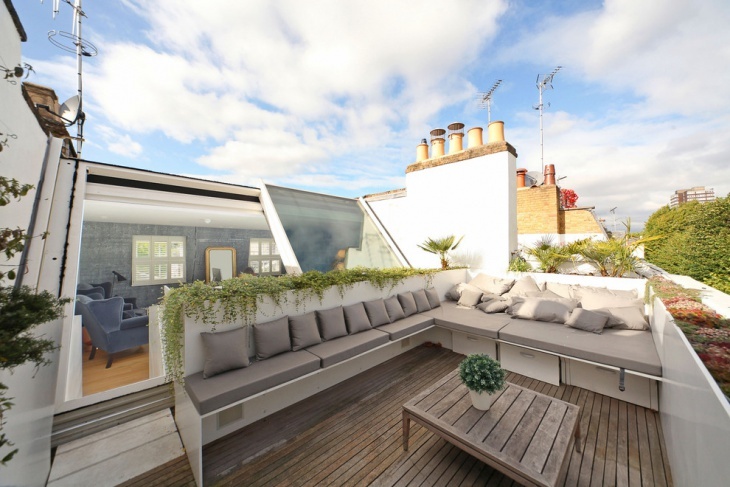 This beautiful contemporary rooftop terrace is one exceptional design. It features a large sofa with cushions arranged likewise. It has a center table that matches with the floor below the deck. It also features outdoor flower pots and plants to enhance the atmosphere of the terrace. 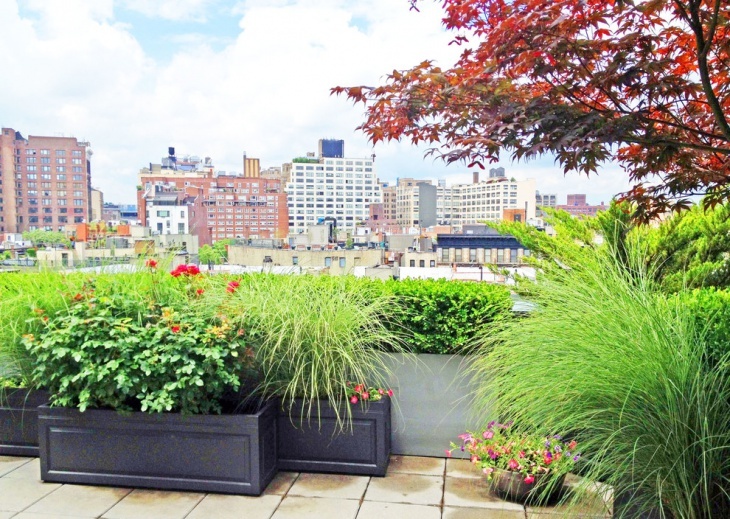 This contemporary rooftop terrace is fresh, green and colorful. It has several greens planted along with flowers to create a magical looking ambiance. It features outdoor furniture with layers of plantations and stylish looking fiberglass planters. This is yet another colorful rooftop terrace garden which is filled with greens including plants, planter boxes, container gardens etc. it is made in a compact design, so instead of direct plantation containers have been made use of to ease the maintenance process. 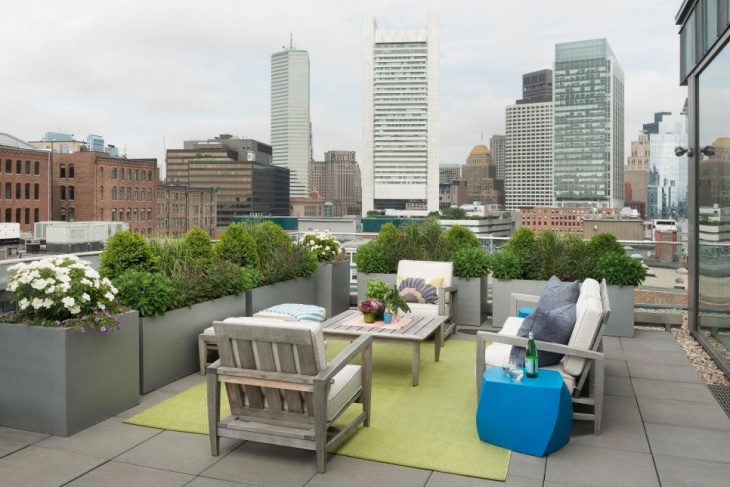 This is a rooftop terrace design idea for small places. It features neatly trimmed greenery and a round table with chairs which is perfect for cracking conversations with family or just about spending time alone in contemplation. Mediterranean design is always beautiful, be it homes or terraces. 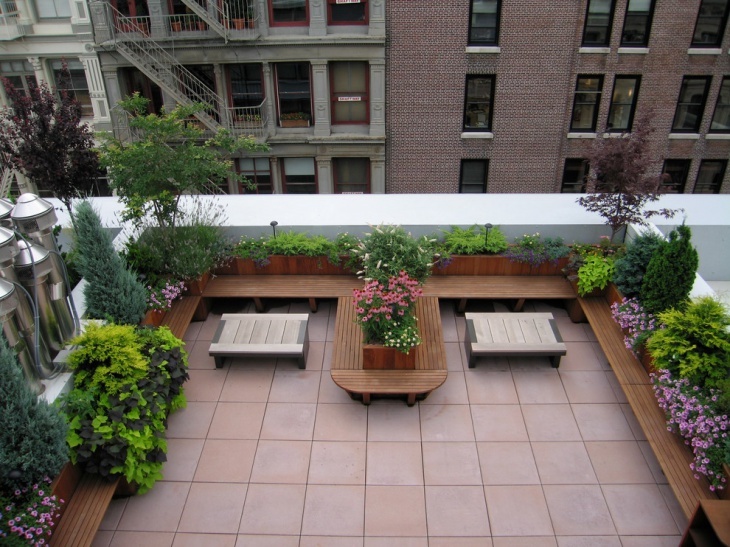 This beautifully designed rooftop terrace has gardening and landscaping done in between seating benches. It adds a breath of fresh air to the terrace and enhances the garden design. 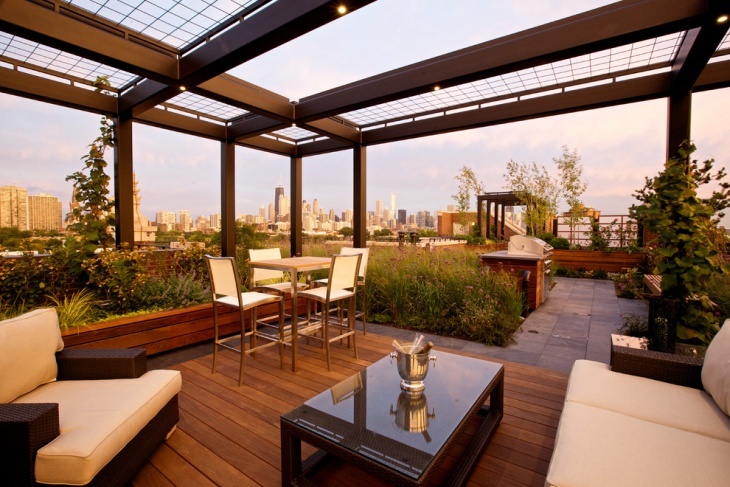 This covered rooftop terrace design is similar to that of a sunroom. It is protected from the weather conditions but still the beauty of nature can be enjoyed from within. The terrace features beautiful greenery in the sides and tables for seating. 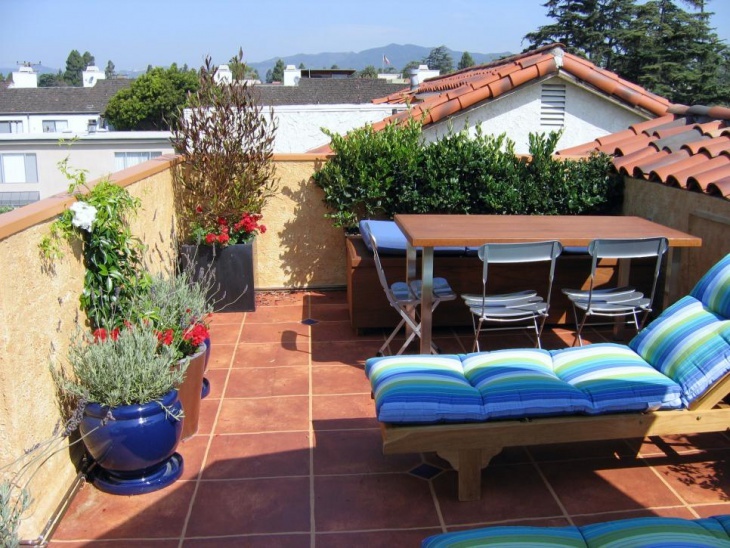 This retro style rooftop terrace is yet another beautiful design in terraces. It features a small place for fire and has brick style furniture used to enhance the retro vibes in the terrace. 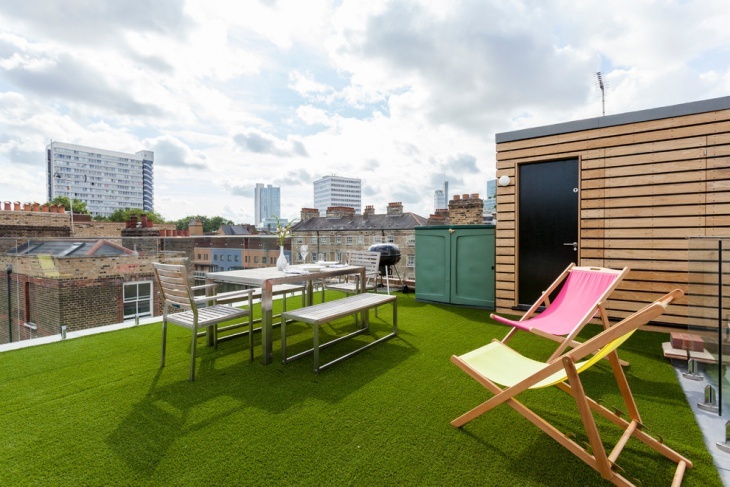 This rooftop terrace features container pots arranged at the back of the sofas. 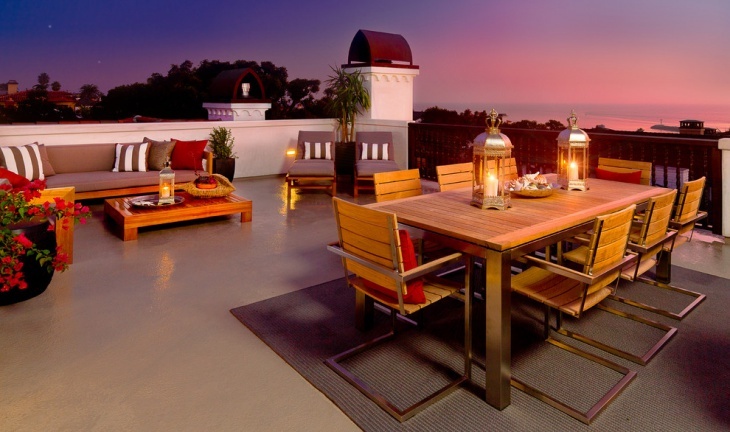 This amazing traditional rooftop terrace design is one of a kind. It features a canopy above the sofas that is meant for protection from the harsh weather conditions. It is a cozy design, perfect for spending quality time with friends and family togethers. 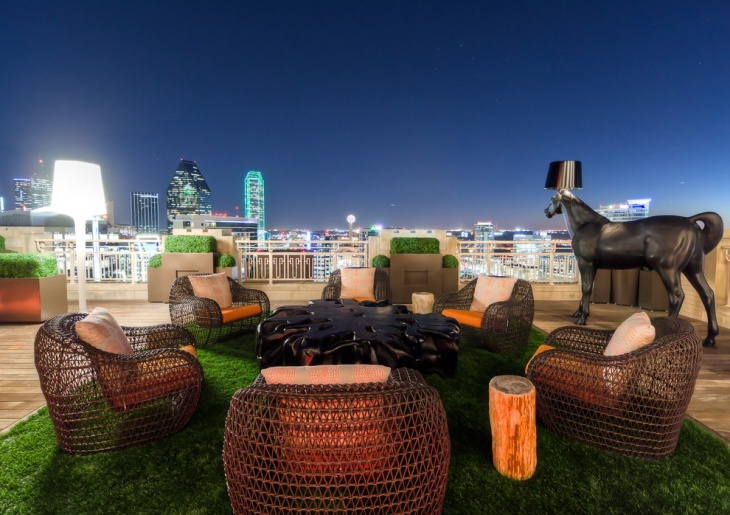 This is a rooftop from a private residence and is very luxurious. It features modern decks with outdoor side tables. It features fake grass which has been used as an area rug and very different styled sofas have been placed for seating. It is all in all a very unique and beautiful design. 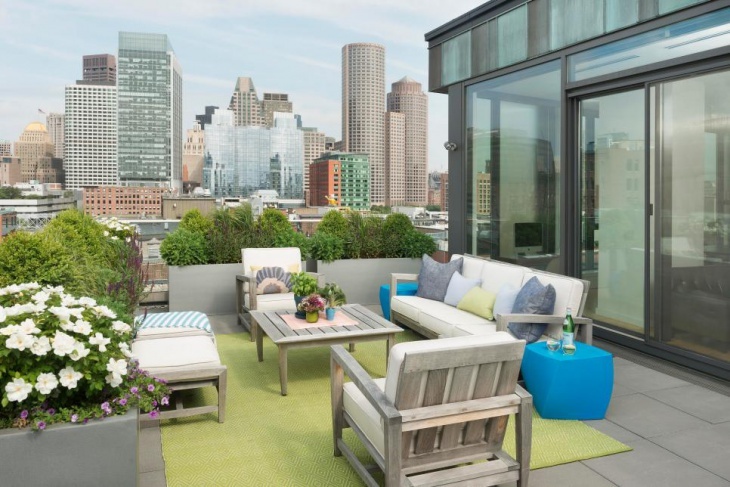 This is a very beautiful furnished rooftop terrace design which features full fledged sofa sets, sleeping curler chairs, recliners, coffee table etc. it is designed to increase and enhance the beauty of the terrace, and is highly functional. 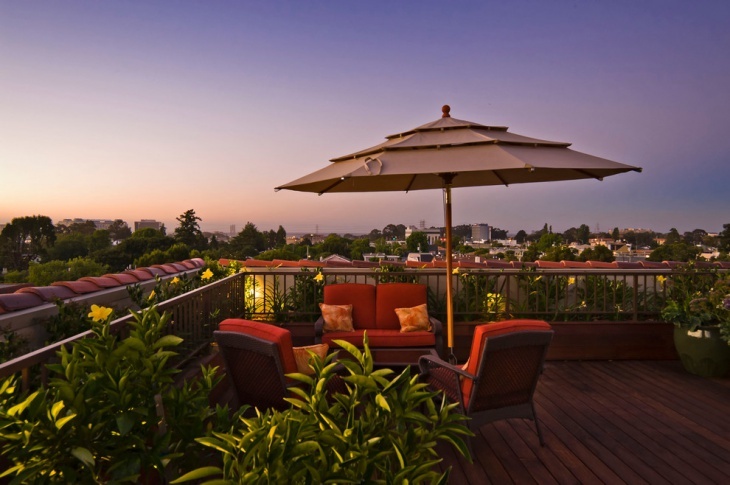 Rooftop terrace designs are in abundance, ranging from landscaping to gardening and even furnishing. 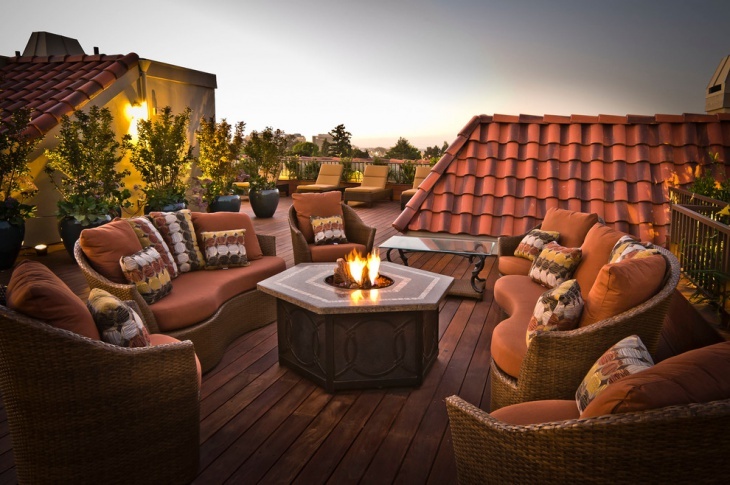 Designers are coming up with several new and out of the box ideas to give the rooftops a whole new makeover. 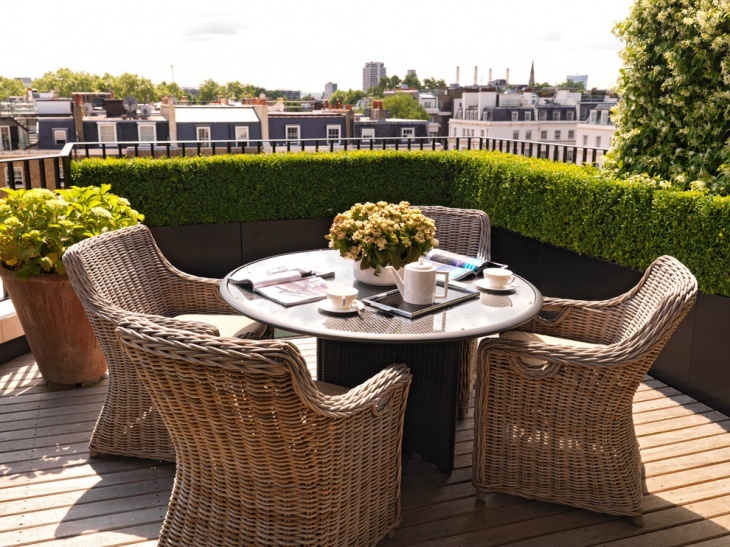 The above rooftop terrace designs that go from contemporary to traditional and even vintage styles can be seen to inspire and create your very own rooftop terrace. A little greenery and landscaping definitely adds in a lot of beauty to the terrace and makes the space more lively, fresh and beautiful.